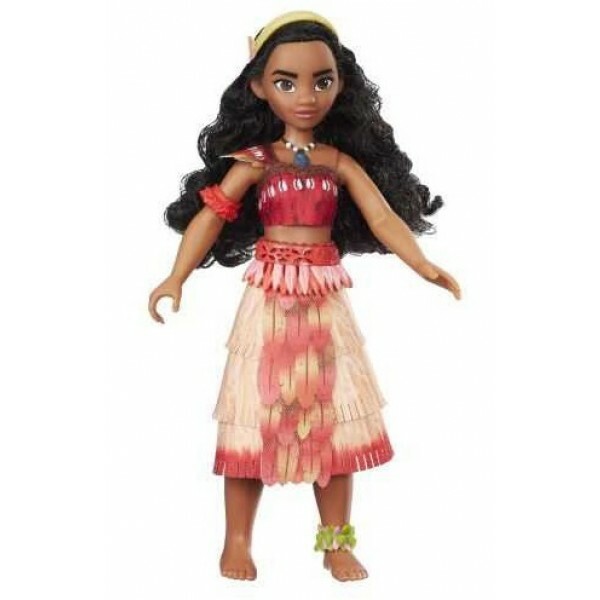 Embark on otherworldly adventures with this Moana of Oceania doll, inspired by Disney's next heroic character! Press the doll's shell necklace to hear "How Far I'll Go," Moana's feature song in the movie -- kids will love singing along over and over. The doll is poseable and comes dressed in a removable outfit which includes a belt, anklet, arm cuff, and headband. 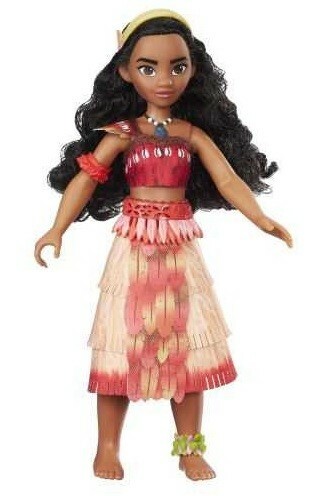 Best of all, her body shape and hair and skin color are designed to look just like the character in the movie! 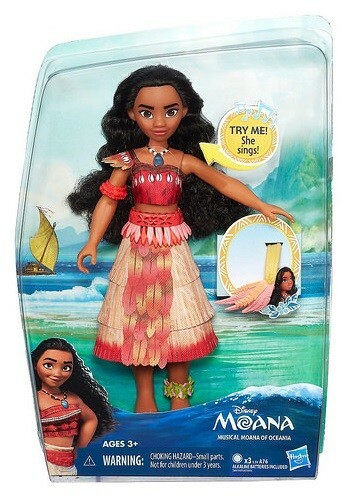 For more products featuring this popular character, visit our Moana Collection. For more diverse and empowering dolls visit our Dolls / Action Figures Collection.